Overview of medicinal cannabis strains that are for sale in sanniesshop and can be used for specific disorders. Due to the large differences in plant varieties we sell, we also have a very wide range of medicinal applications for sanniesshop varieties. At sanniesshop you get what is promised and year after year we supply predictable strains that meet the description. This is important if you are using the seeds for a medical indication and want to be sure that you are getting exactly what you need! When the use of a cannabis type offers relief for one or more disorders, a strain can obtain the classification medicinal. Indica and Sativa plants both have different effects and can therefore be used for various applications. By making crossing here again, the specifications become even more complex, but we have made an attempt to organise the product pages in such a manner that all necessary information can be found there. Which strain is suitable for me? First you need to know which type of cannabis will have a positive effect on your condition. If you know which type of cannabis plant will benefit you the most, you can cross off more than 60% and continue looking for your ideal smoke. 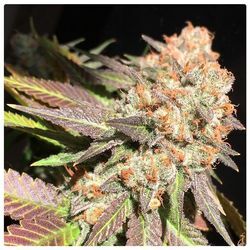 If you do not yet know which type is most suitable for you, I would advise you to read through the specifications and find out which strain is most suitable for you to aid with your condition. Basically, sativa plants give an energetic and aware effect, sativa strains generally have a higher THC percentage than CBD which ensures the uplifting high and good feeling. Sativa varieties are especially nice to smoke during the daytime and can have stimulating effects. Cannabis products that come from the Indica plant have a more calming effect and an narcotic effect on body and mind and have a higher percentage of cannabinoids that provide the relaxing effects. These effects ensure that the indica plants can be used for a wide variety of disorders. The Hybrid plants properties will be in the middle of what we just mentioned above and depend on the heritage of what properties they will have. Because of this many experiments can be done with all kinds of different percentages of THC and cannabinoids.